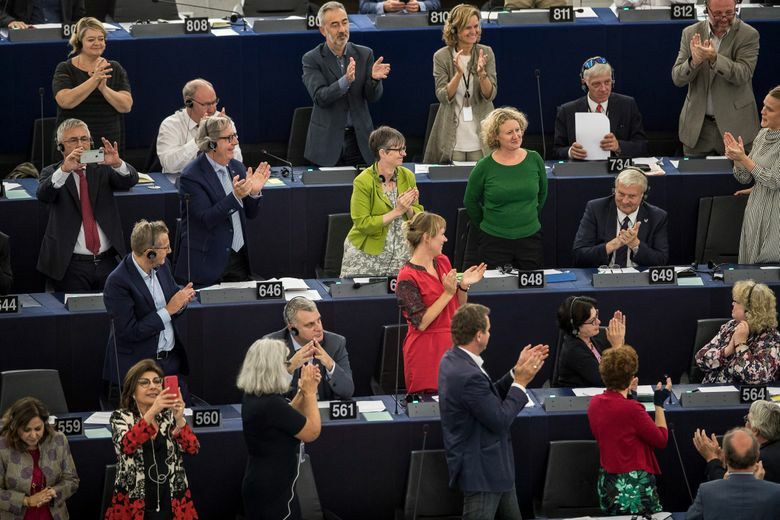 BRUSSELS (AP) — Hungarian Prime Minister Viktor Orban suffered a rare political setback Wednesday as European Union lawmakers voted to pursue unprecedented action against his government for allegedly undermining the bloc’s democratic values and rule of law. Hungary called the action fraudulent and vowed to challenge it. 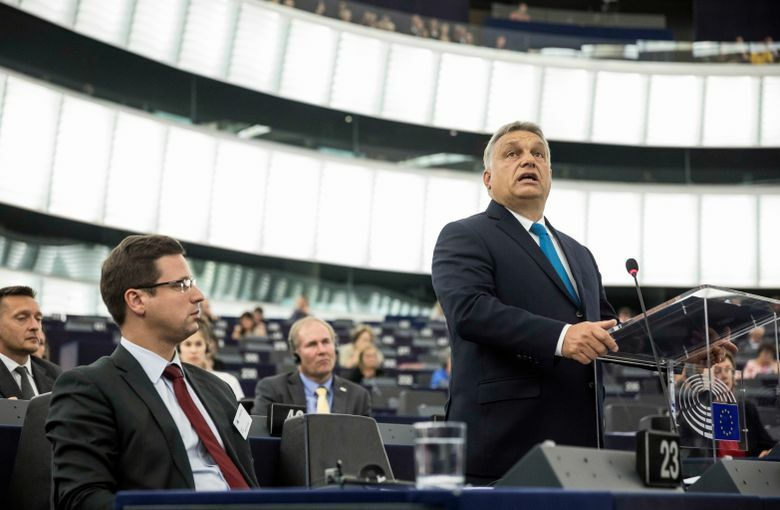 Despite the official rebuke, Orban is showing no signs of compromise. 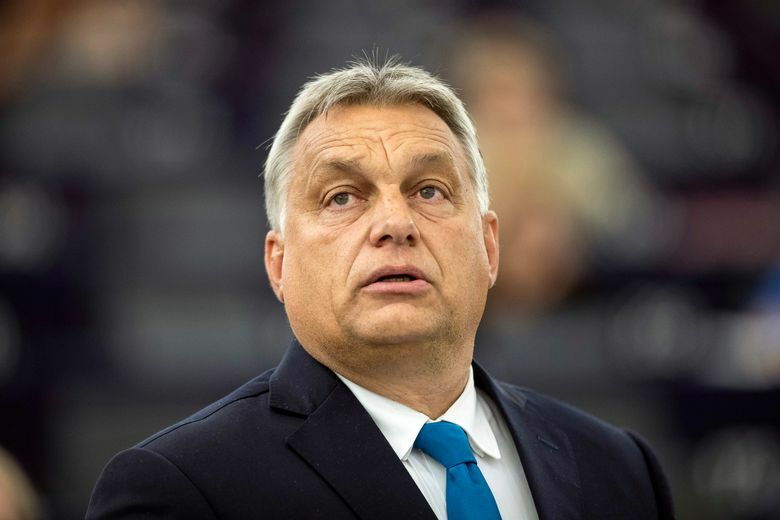 While he seeks to keep his ruling Fidesz party within the conservative European People’s Party, or EPP, the largest and most powerful group in the European assembly, its possible ouster may push him closer to other far-right groups in Europe, like the nationalist Alternative for Germany (AfD) or France’s National Rally led by Marine le Pen. 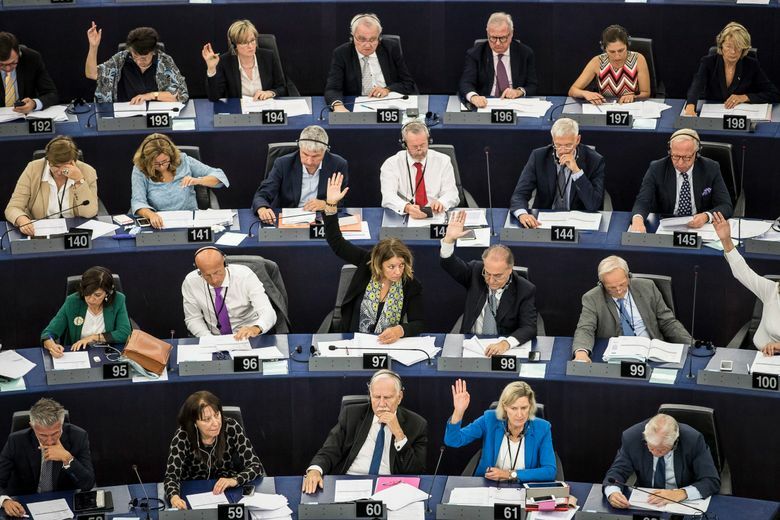 The lawmakers voted 448-197 in favor of a report recommending the launch of a so-called Article 7 procedure, which could lead to the suspension of Hungary’s EU voting rights. Needing a two-thirds majority to pass, it was approved by 69.4 percent of the lawmakers. For years, Orban had been able to deflect much of the international condemnation aimed at him. Critics say Hungary’s electoral system favors the governing parties; media freedoms and judicial independence are dwindling; corruption and the enrichment of Orban allies with EU and state funds are on the rise; asylum-seekers and refugees are mistreated; and there are efforts to limit the activities of nongovernmental organizations. 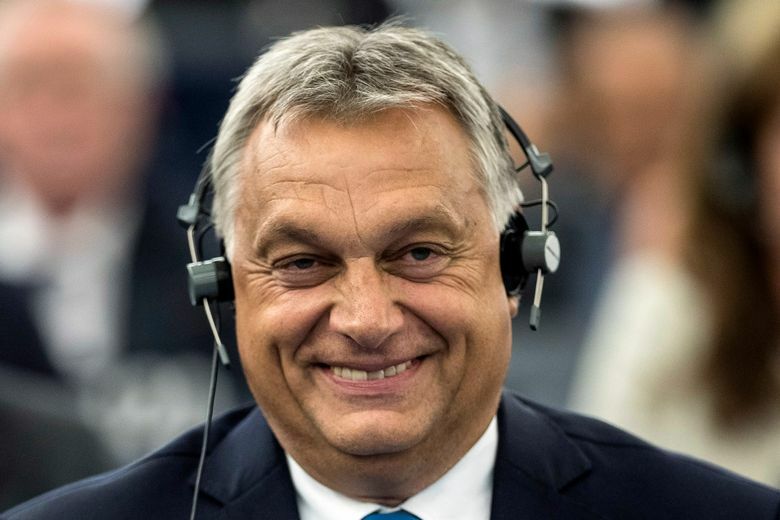 Hungarian Foreign Minister Peter Szijjarto, echoing Orban’s longtime position that allowed him to win a third consecutive term in April, called the vote “petty revenge” against Hungary for its tough anti-migrant policies. “This decision condemning Hungary and the Hungarian people was made because we Hungarians have demonstrated that migration is not a necessary process and that migration can be stopped,” Szijjarto said in Budapest. On Orban’s orders, fences were built in 2015 on Hungary’s southern borders with Serbia and Croatia to divert the flow of migrants, and the country has adopted increasingly restrictive asylum rules. 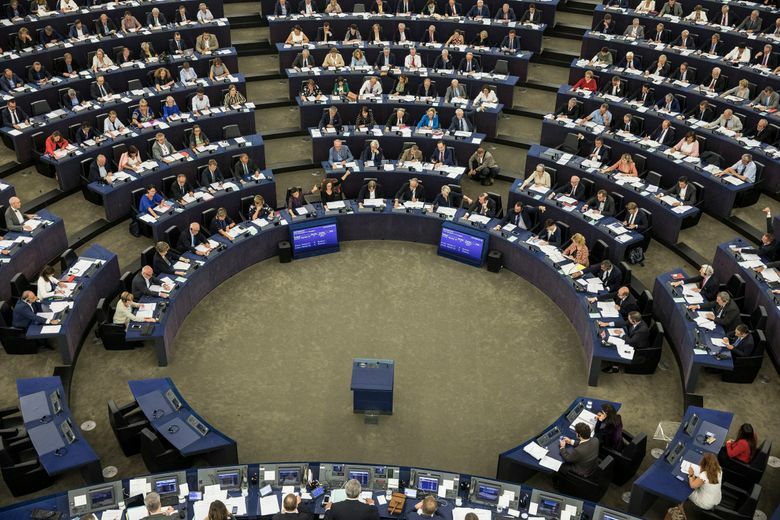 Hungary claimed its defeat in the European Parliament involved “massive fraud” since 48 abstentions weren’t counted in the final tally, which made it easier to reach the needed majority. Szijjarto said Hungary was considering legal options to appeal the result. 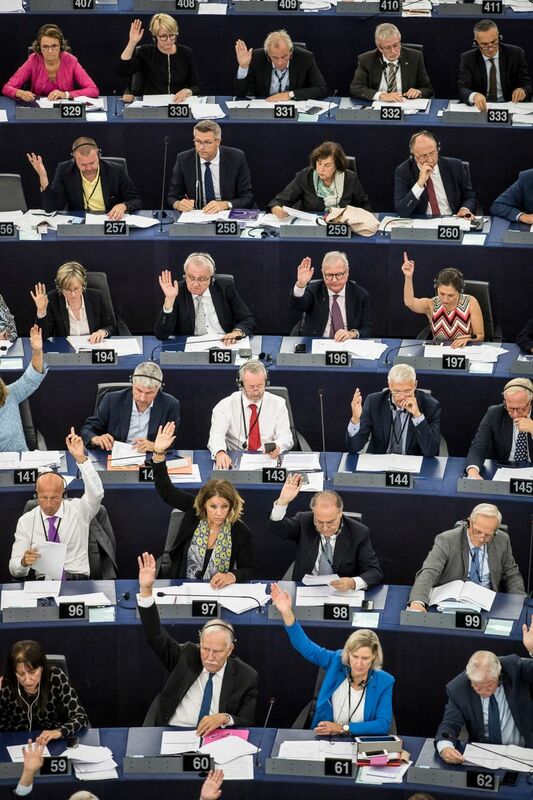 However, according to Article 354 of the Lisbon Treaty, reforms adopted in 2007 after the EU expanded from 15 to 27 members, “for the purposes of Article 7 of the Treaty on European Union, the European Parliament shall act by a two-thirds majority of the votes cast.” This would seemingly exclude abstentions from the tally. Grabbe’s organization is part of the Open Society Foundations set up by Hungarian-American billionaire and philanthropist George Soros, an ideological opponent of Orban and blamed by the Hungarian leader for promoting mass immigration into Europe. Soros repeatedly has denied the allegations. 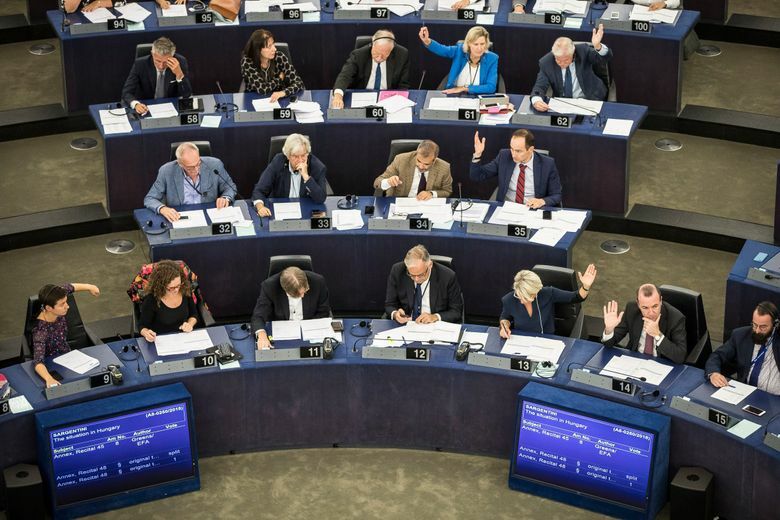 Even EPP leader Manfred Weber, who earlier was supportive of Orban and is seeking to become the European Commission president next year, said he had voted for triggering Article 7. “I have always been in favor of building bridges and I want to continue to do so, but yesterday (Tuesday) I didn’t see any readiness from the Hungarian PM to make a move towards his EU partners and address our concerns,” Weber tweeted. While Weber had urged him to show a willingness to compromise on some issues, Orban said his policies wouldn’t change.